My Past Life as Marilyn Monroe. In seventh grade, on the way to church camp, my best friend’s dad detoured to stop at a gypsy camp in the middle of the woods. My best friend and I got out to investigate our strange gypsy camp surroundings as her dad had a reading with one of the resident fortune tellers. Looking back, this is all very strange. I’m sure at the time I was a little weirded out too. Background information for this story: I have been obsessed with Marilyn Monroe since fifth grade. (I promise this will connect to the first paragraph) I’ve watched all of her movies, I have memorized the song ‘Diamonds are a Girls Best Friend’ and performed it frequently for friends and family members. I have also visited the site of her grave, wrote a ten page research paper on a conspiracy theory of her death and done some other things in her honor that are not appropriate to mention on the internet. Ok, back to the gypsy camp…My best friend’s dad offered to pay for me and his daughter to have our fortunes read after his reading was finished. When it was my turn I went into this bare cabin with a woman who began to read my fortune. She said a lot of things to me, most of it I don’t remember but the last thing she told me was that I was Marilyn Monroe in another life. Well, as you can imagine I freaked out and still believe this strange woodland gypsy to this day. I mean what a weird coincidence that this hippie, crystal-wielding clairvoyant told my I was my biggest idol in my last life? Right?! 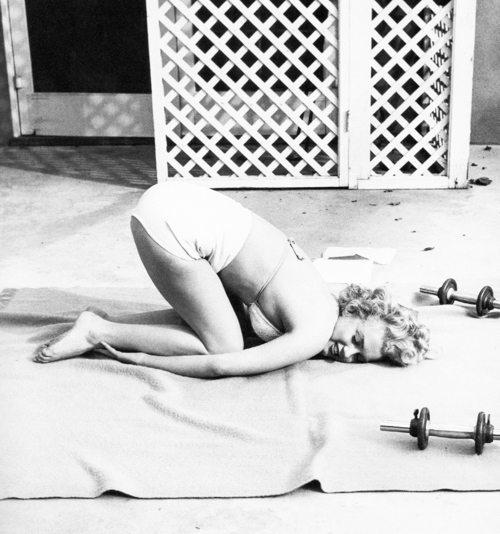 Marilyn Monroe was ahead of her time in many ways. She started running in the fifties before anyone knew it was a good idea to run to stay healthy. She also got down on some yoga. Before it was mainstream. More evidence that I was in fact Ms. Monroe in another life. 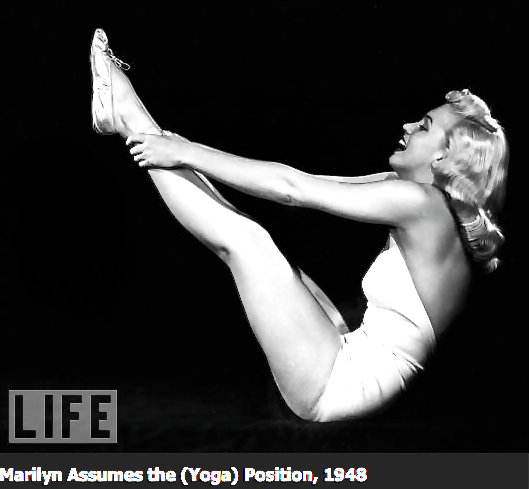 Check out Marilyn’s interview in the September 1952 Issue of ‘Pageant’ on How to stay in shape.